The rise of online gambling in the last decade has been a major influence on the amount of payment methods being available for customers to use. Paysafecard is one of them and is the worldwide market leader in prepaid online payment methods. Paysafecard launched back in 2000 and is becoming an extremely popular payment method for online roulette. With the market being so competitive, Paysafecard has managed to produce a product that offers customers something completely different than any other option. As the product continues to improve, it will inevitably grow in stature and soon become the most popular payment method to use throughout the online gambling world. This payment method is unique in comparison to majority of its competitors as it allows customers to make a deposit online without having to provide any personal or banking information. Therefore the process becomes a lot more straight forward when depositing funds into your online roulette account. If you've never owned a Paysafecard before, the first thing you have to do is purchase one from any local retail store situated in Canada. They are available in a variety of prices and you will be given a 16-digit PIN with every purchase you make. When it comes to depositing online, every roulette casino will have a cashier or banking page situated within the client, simply enter that page in order to carry out the deposit. After doing so, you will be presented with a range of options, select Paysafecard and enter the amount you would like to deposit. It's important to know that any remaining funds that you do not deposit will be on your card available for future use. Finalise your deposit by entering your 16-digit PIN code and as soon as your transaction is processed you will be ready to start playing real money roulette online. Security and safety of the customer is essential: Each deposit is completely anonymous and none of your personal information is required. Affordability: No matter what your price range is, there will be an affordable Paysafecard for you. Fast and efficient deposits: Each deposit is processed within seconds and your funds will be available almost instantly. No additional fees: You don't have to worry about additional costs with every transaction. Availability: Paysafecard's are easy to find, including supermarkets and gas stations. Choosing your payment method is definitely something that takes a good deal of consideration, but so does choosing the site you want to play at. Yes, Paysafecard is accepted at most online roulette casinos, but this doesn't mean that every casino is great to play at. Some casinos offer a wider variety of roulette games, some have a better security system than others and some offer more lucrative welcome bonuses and loyalty programs. There are a number of things to consider when deciding where you want to spend your hard earned money. Thankfully for you, we have an experienced team of reviewers that have assessed online roulette casino sites throughout Canada and can point you in the right direction. They've narrowed it down to the best and most secure roulette casinos that accept Paysafecard deposits. So, take a look at the options and no matter where you decide to play, your online experience will be worthwhile. Although majority of transactions are processed instantaneously, some may take longer than others, which is completely normal. This is simply a security check that takes place with every payment method and is actually beneficial for the customers. The safer and more secure you are, the better your online gambling experience will be. Also, with Paysafecard you won't be able to withdraw any funds using this payment method. Unfortunately only deposits can be carried out with Paysafecard, but there are plenty of other methods available for you to withdraw your winnings from an online roulette casino. Finally, keeping track of how much you have on your card is vital with this payment method. If you don't use the full value of your card with your first deposit, make sure you are aware of how much you have remaining to use for your next transaction. Not doing so can lead to some complications and it will simply make things a lot easier for you during your time playing online roulette. 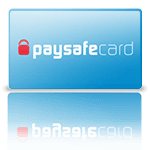 Paysafecard is one of the leading prepayment methods available to consumers worldwide. Founded in 2000 it has continued to grow as a leading provider in eCommerce transactions. It is a prepaid card or voucher that lets you, the consumer make financial transactions online without sharing credit card or bank information. It is used much like you would a credit or debit card, but there is no credit or bank account associated linked to it. You purchase your card with cash at an authorized outlet, much like you would a lottery ticket. Then using your unique 16 digits PIN you are able to deposit up to the full amount of your voucher into your account. With over 500,000 outlets around the world, online gamblers are sure to be able to use this safe method of payment. Many of the top online casinos accept Paysafecard as a reputable method of deposit. When selecting your online gambling site, check their banking link to be certain that it is accepted. We have listed the best Paysafecard online casinos for your immediate enjoyment. Just look for the logo. It is very safe to use. In fact, in many ways it is one of the safest eCommerce products available. Because you purchase your voucher with cash and you do not need to do much other than that, your private information is exactly that - private. When you make a deposit or purchase you are completely anonymous. You never share your private banking information with either party. In addition Paysafecard utilizes secure technology that prevents fraud and identity theft. Security and safety of the customer is essential: Each deposit is completely anonymous and none of your personal information is required. After purchasing your Paysafecard, it is as fast as depositing money directly from any other account. Because of the speed of electronic transfers, players can get down to great Roulette in no time at all. Just log-in to your account, choose your method of payment, (which is Paysafecard) indicate how much you wish to deposit, enter your unique 16-digit PIN and the transfer is complete. All in about as much time as it takes to make any purchase or transaction online. We love Paysafecard. eVouchers are perfect for online gambling because it is 100% private. Anonymity is important and the fewer times you have to disclose your private banking information or credit card numbers online the better. Identity theft is a big concern in today–s eCommerce climate. So unlike credit cards, or other eWallets that are directly connected to a banking and your private information, all you need is cash. Go to a Paysafecard outlet, buy a card, get your unique PIN and you are set to enjoy online Roulette your way. No, fortunately the online casinos that we recommend do not charge you and willingly absorb any fees on their end. While there are some fees associated with Paysafecard, they are charged by the receiving retailer and never to purchase your voucher. This amount is disclosed prior to your using your voucher/card. There can be some currency conversion fees by the Paysafecard outlet and non-use fees.